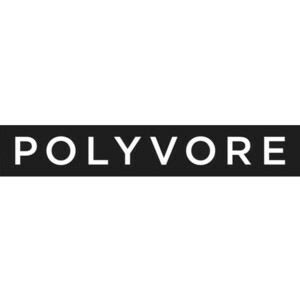 Polyvore (now owned by Yahoo) is one of the most interesting channels for Fashion and Apparel eCommerce merchants because it allows you to target users creating clothing sets (a dress that pairs well with a pair of shoes). Additionally, Polyvore boasts a basket size (an average order value ) of $383, which is significantly higher than other CSE and marketplace channels. First sign up for Polyvore, agree to the terms of service, and then fund your Polyvore account. Polyvore for the most part accepts Google Shopping feeds, but with a few additional rules and fields. For one, you can only advertise products in the following categories: Women’s and Men’s Fashion and Accessories, Beauty, and Home items in Shop. Secondly, you cannot have duplicate image URLs on Polyvore in the feed. You must have an individual image for each product. The Polyvore feed must also only have in stock items. The requirements for images are more strict than any other channel as Polyvore is very visual-centric. The minimum size of images is 350x350px, you can’t have duplicate images, and you can’t have any borders or watermarks on images. These categories are actually crucial to having good relevancy on Polyvore, as their taxonomy categorization system uses these values. Lastly, you can send your feed to Polyvore via HTTP, FTP, or SFTP. With Feedonomics, you can automate this process to ensure that you are always sending out the most up-to-date product information available. You can download Polyvore’s bid template file to create bids for product groups or categories. You start off with advertising for Desktop, and can scale that to mobile. 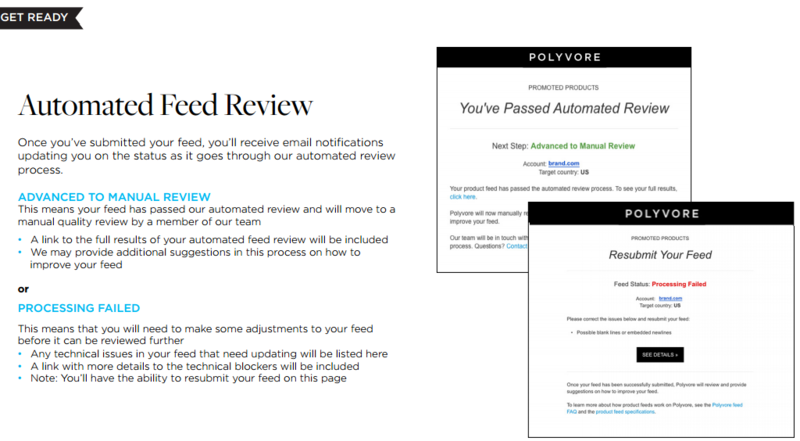 Need Help With Polyvore Feed Management?